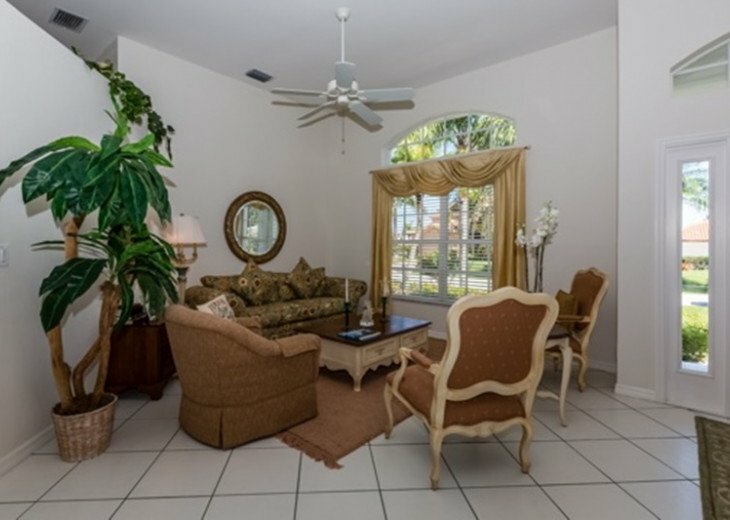 Come and enjoy this clean and comfortable 3 bedroom, 2 bath waterfront home on Marco Island. 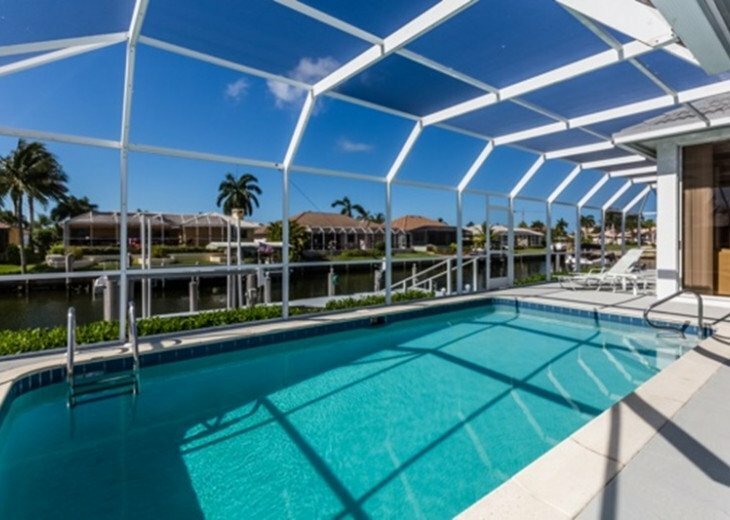 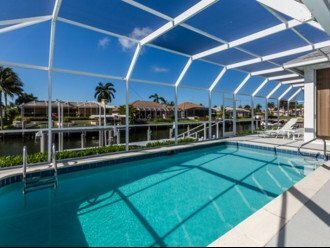 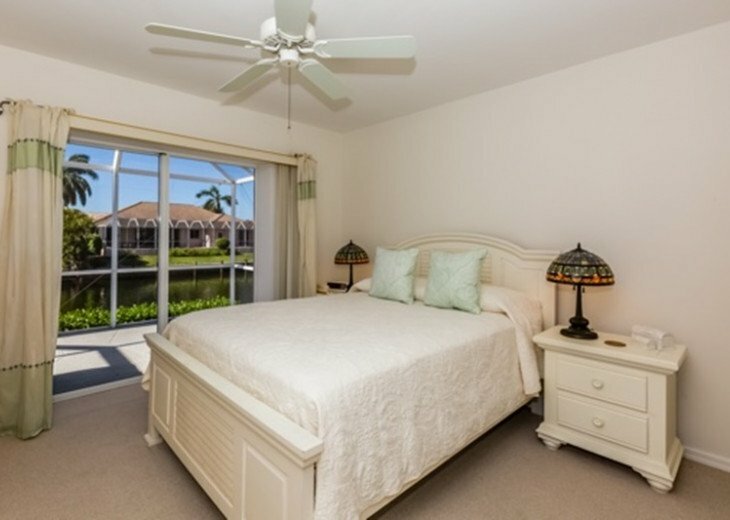 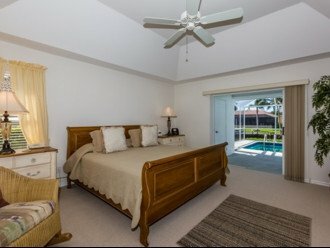 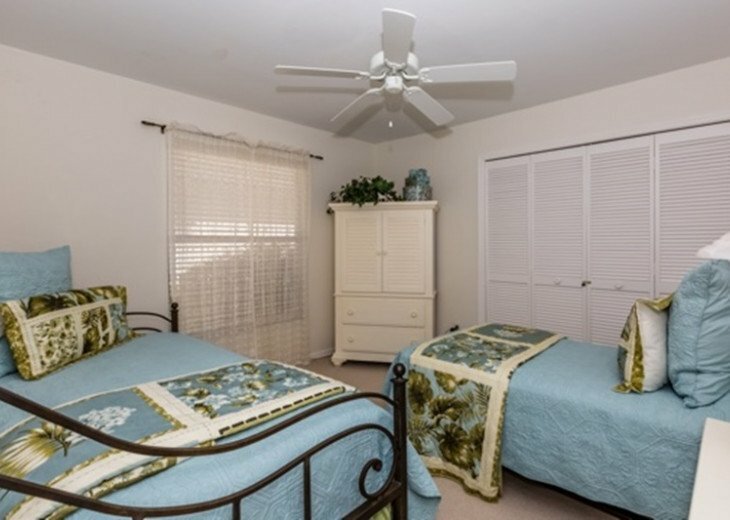 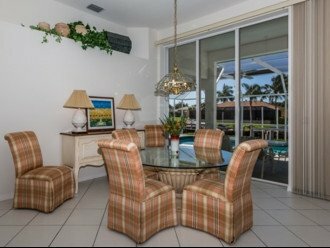 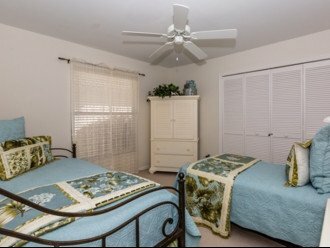 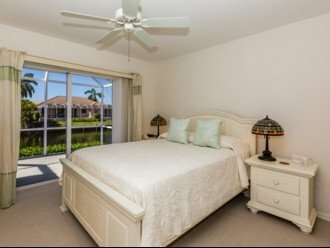 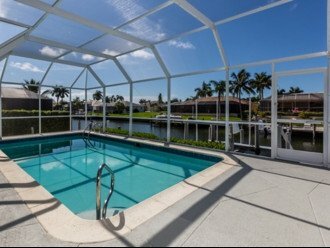 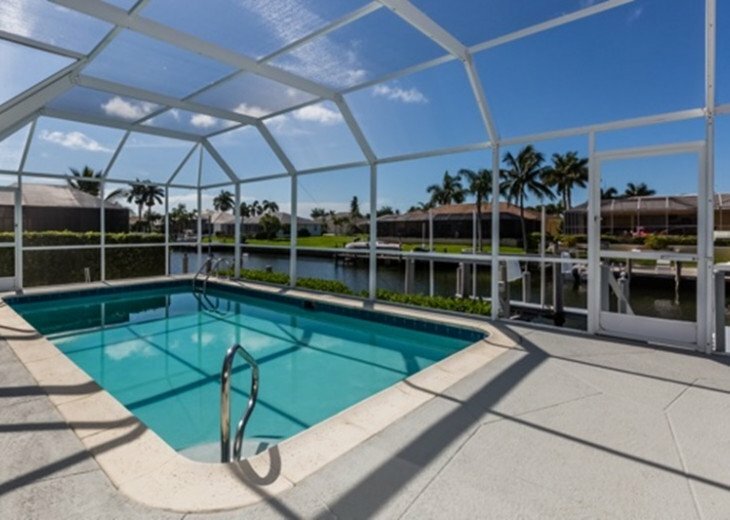 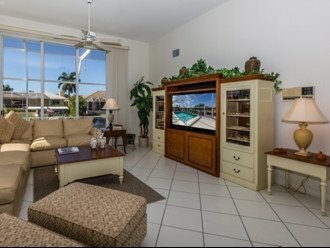 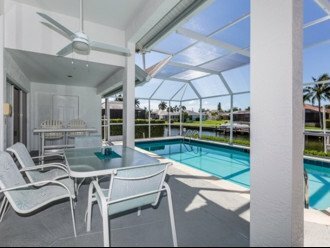 Direct southern exposure ensures all day sun from the large lanai and sparkling clean heated pool or the huge dock on the canal. 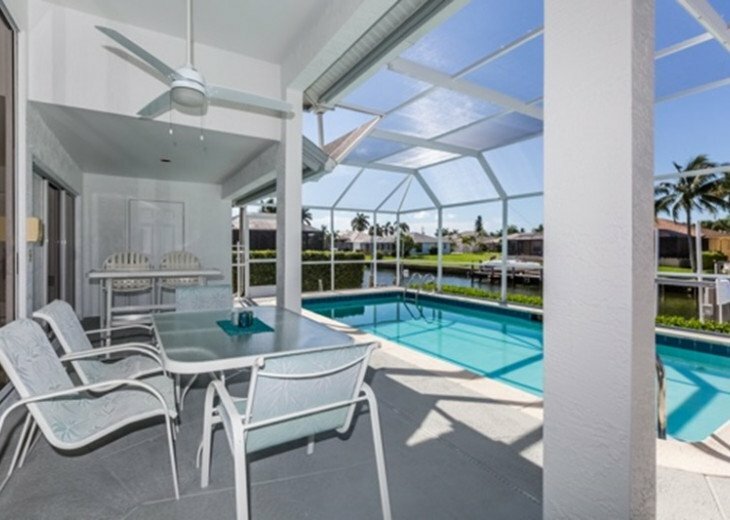 This family-friendly home features a wide-open floor plan with vaulted ceilings, tiled floors and plenty of sunshine from the 10’ sliders on the south (water) side of the home. 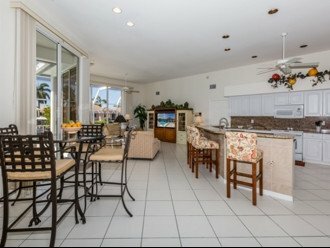 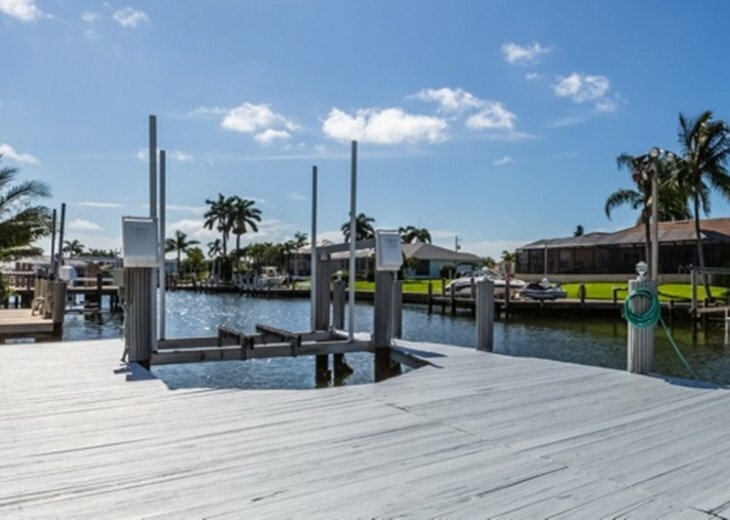 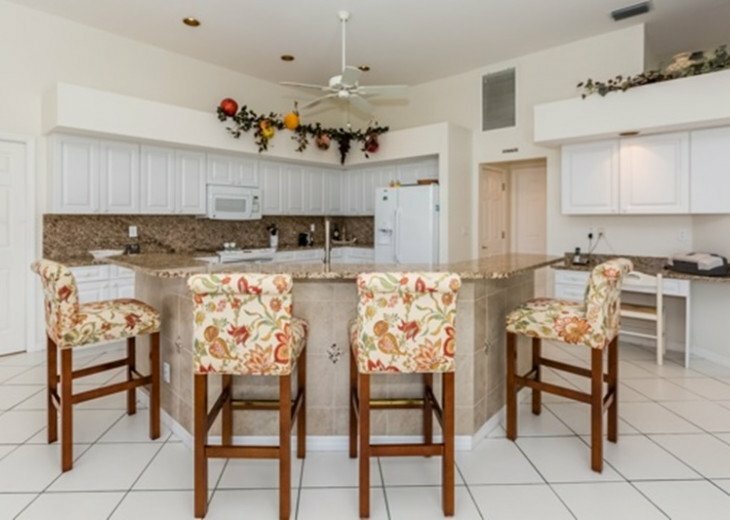 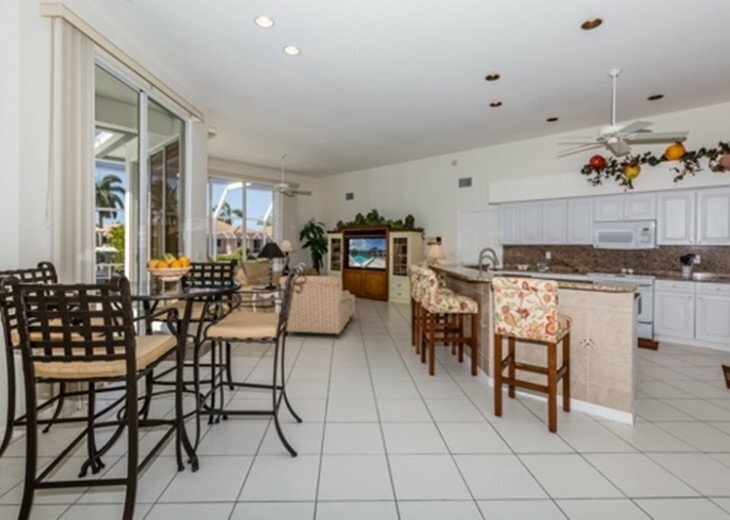 Catch fish from the dock and prepare your meal in the spacious (open) kitchen which features brand new granite countertops, including a breakfast bar/island, and many new kitchen appliances or grill your catch on the new custom BBQ located on the lanai. 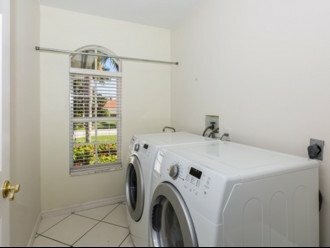 A utility room, complete with a brand new washer and dryer is conveniently located just off the kitchen. 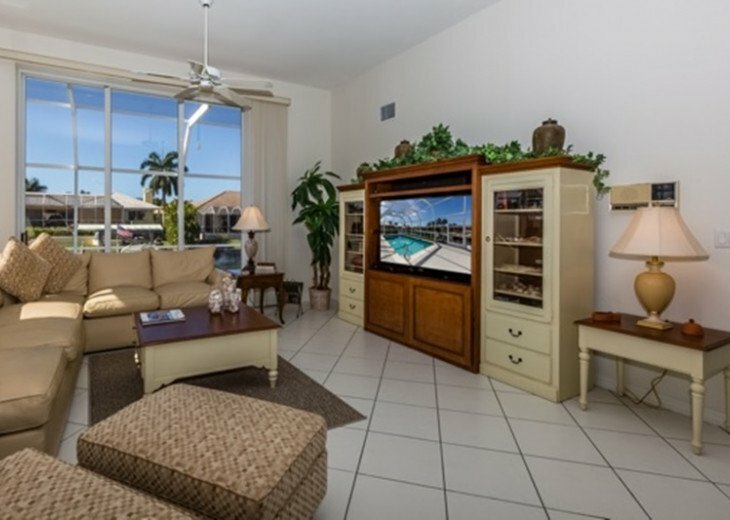 When not outside, kick back and enjoy digital HD cable on one of the new flat-screen LED/LCD T.V.s, including a 55 inch screen in the main family room. 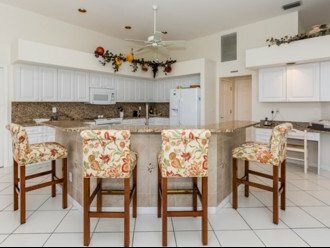 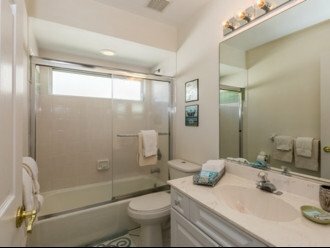 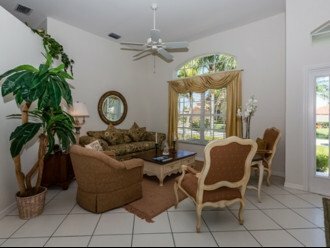 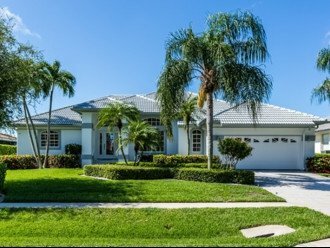 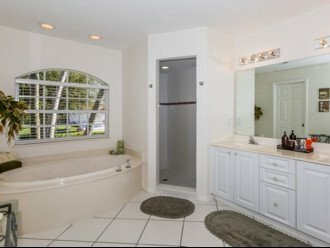 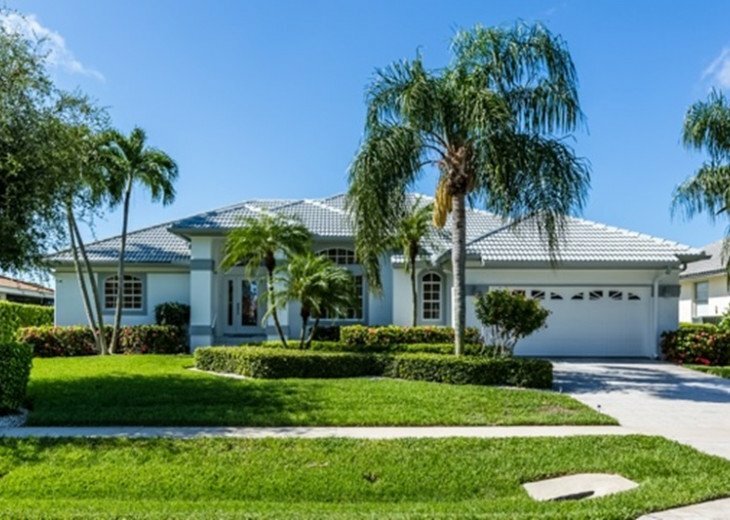 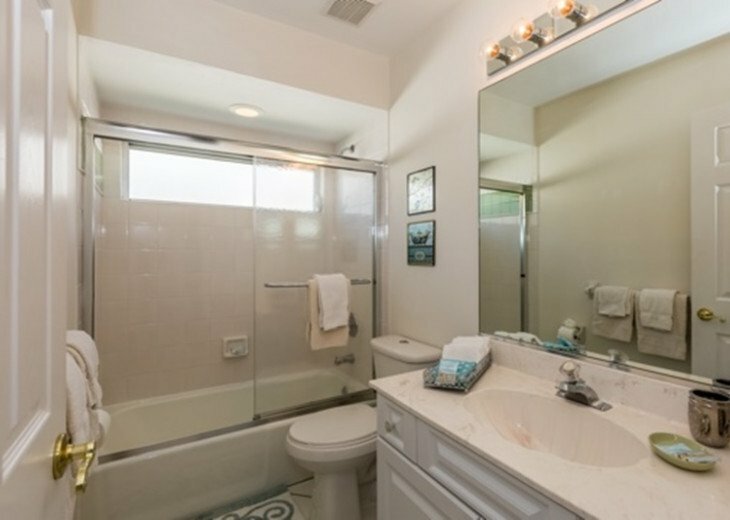 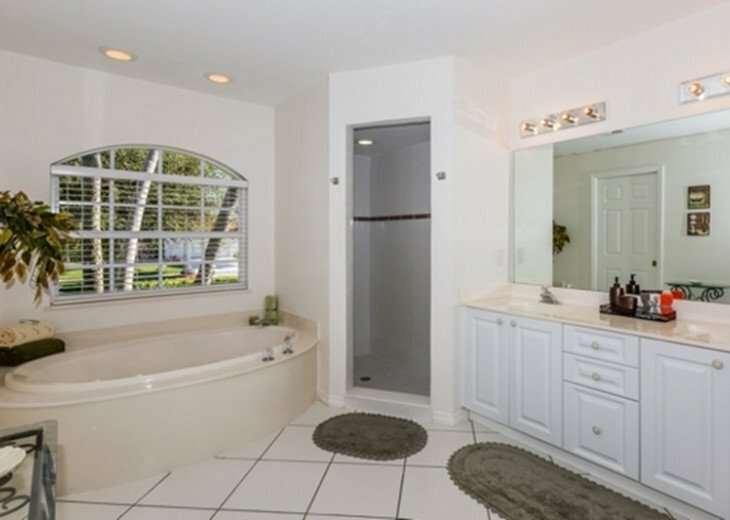 This property is conveniently located on beautiful Marco Island just minutes from shops, restaurants and miles of beautiful south Florida beach. 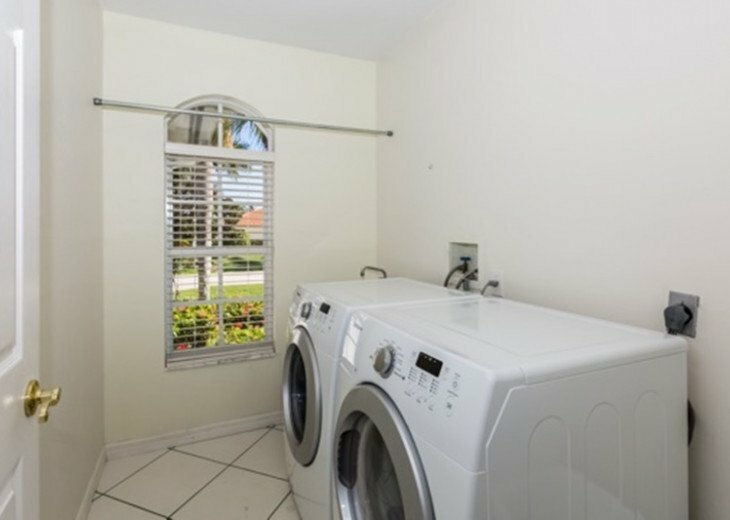 Owner prefers no pets.